Recommended plant varieties at the Discovery Garden. 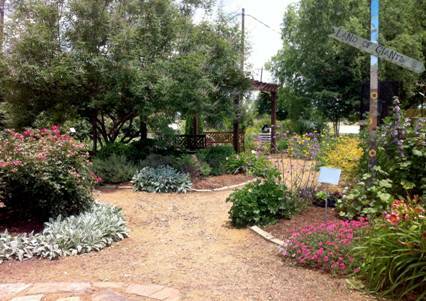 The Discovery Garden was created to demonstrate, educate and grow the interest of gardening among the residents and school children of Rockwall County. This includes but is not limited to plant selection, planting techniques, care and expected results. The Master Gardeners grow and test many different plants in this harsh climate. One outcome is to provide evaluation information to the public. Plant trials are conducted in conjunction with Texas A&M University.